any other lawmaker in the 21th Century — all to adhere to a misguided ideology. He won’t be alone. 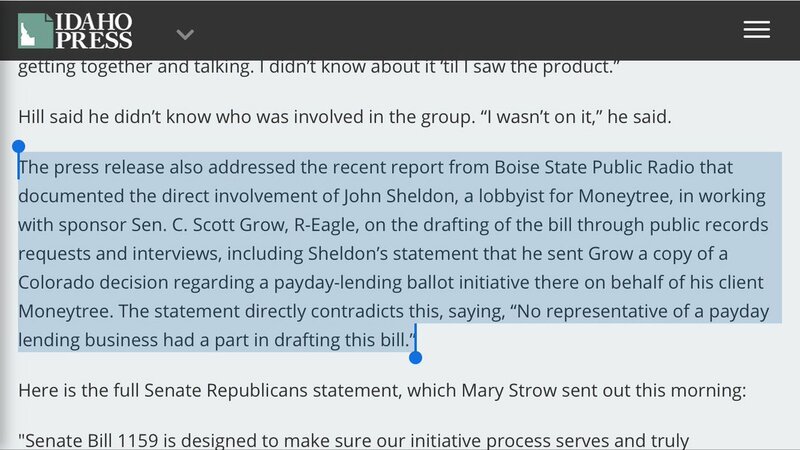 Nineteen of his colleagues, all Republican, have cosponsored an Amendment to the Idaho Constitution that would take money away from public schools while sending it to church schools. Of course, defunding public schools would be a disaster for children from low-income families in a state where a majority of children are low income. This isn’t the first time Idaho politicians have lashed out at low-income children in the name of ideology. Last year, a minority of extremist lawmakers voted against a bill that provides $250 million of support payments to children of single-parent families. What is it about low-income children these legislators don’t like? We have no idea. The aforementioned lawmakers voted against single-parent children due to their fears of Islam and sharia law. That’s profoundly ironic because Nate’s bill would direct public money toward religious schools, which would also include Islamic schools. We’re pretty sure that little factoid didn’t cross the 13 lawmakers’ minds.